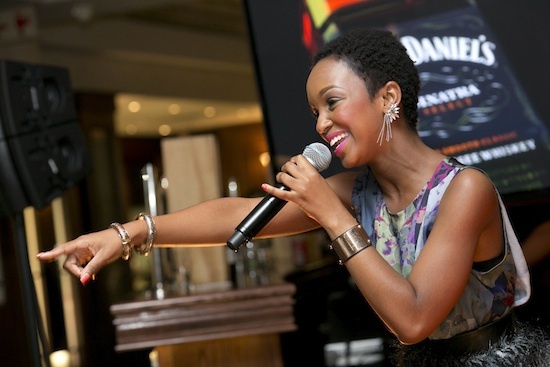 Home > OpenMinds > Nandi Mngoma talks of RickyRick & Cassper’s Success. Cassper Nyovest and RickyRick are on almost every gig list these days. Haters and Lovers from the hustle world are on larger ends and it gets bigger by the minute. Considering many fans only get to know stars when they reach stardom, stories of fame then becomes a question of when artist reached the apex of their talents. It’s just hear-say and rumors that have made their ways to the airwaves and not too much facts until recently when Nandi Mngoma took to her (Instagram) social media page and shared a little something with all fans of Cassper and Ricky. Nandi herself has her own share of fame and is no stranger when it comes to Entertainment in Mzansi : Nandi Mngoma is a South African singer, actress and television presenter who rose to fame with the 2011 release of the single Tonight, which she wrote and had produced by DJ Franky. Artists Unite "No More" against Xenophobia.